Yesterday, I upgraded my 64 bit Vista machine to Windows 7. The installation went fine, however once it was finished and Windows 7 was up and running, I found that I could no longer run any program beyond a few of the built in operating system programs such as the control panel, windows explorer, notepad, etc. Opening other programs such as Firefox, Word, Photoshop and even Internet Explorer would hang for a few seconds after I double clicked their icon, but would never appear. When I checked the task manager, the executables were listed in the Processes tab, but windows for the programs would not display. I also occasionally received a delayed error message from Explorer.EXE “Server execution failed” after trying to open Internet Explorer. I uninstalled my antivirus software and VMWare just in case they might have anything to do with the problem, but this didn’t work. Your programs should now be able to open. This problem seems to be due to lack of compatible drivers with 64-bit Windows 7. [Update:] I discovered that the true problem had to do with my HT Omega Striker 7.1 sound card drivers. After installing a Windows 7 compatible driver update from HT’s website, the HsMgr programs can run in the background without preventing applications from opening. 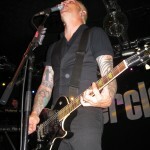 Ever since I really started listening to music, Everclear has been my favorite band. Their perfect mix of rock, alternative, and pop combined with straightforward honest lyrics covering a full span of raw emotions makes their music applicable for any mood. 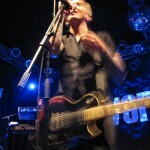 Art Alexakis is the only remaining member of the original band, but as lead singer and songwriter, for all intents and purposes he IS Everclear. 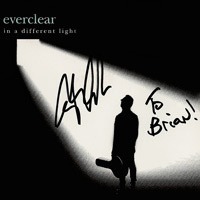 “In A Different Light” features re-recordings of many of Everclear’s best songs from the 90’s and 00’s. It’s somewhere between a greatest hits album and a remix album, but rather than completely overhauling each song, the sound has been ‘tweaked’ to give a slightly different feel. In general, the lyrics to all the songs are identical (save for a few minor word changes), but the timing, tone, and emphasis are completely new. Most songs have a softer, stripped down feel compared to the originals, yet no so much so that they become dull. It is also refreshing to hear cleaner, polished versions of older grungy songs such as Santa Monica and Fire Maple Song, even if they don’t seem to convey as much emotion. Really, none of these updated versions can compare to the originals, but they are still very nice to listen to, especially for Everclear fans such as myself. This collection is almost a curiosity, but one that does not disappoint. Two new songs also accompanied on the album, At The End Of The Day & Here Comes The Darkness, and these are also pleasant to listen to. Everclear’s “In A Different Light” is a unique type of album, and those who are familiar with the songs reworked here will surely enjoy it. I’d like to think I was the very first person to purchase this album, since I was able to buy it one day in advance of its release at the first show of Everclear’s latest tour, and I was pretty much the first person to arrive at the venue. Being the first to arrive also meant I was front row center for the concert and got to take home a guitar pick and set list as souvenirs. 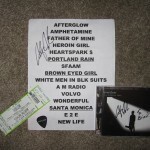 The next best thing about concerts, after seeing your favorite band play, is taking home memorabilia! Art Alexakis was also available to meet and give out autographs (he signed my album cover, as you can see above), which was actually really cool of him. Of all the concerts I have been to, the main act has never been available to meet. And as it turns out, he’s a really friendly guy. In all, it was an excellent concert, and I was glad I finally got to see them live, despite that the lineup is different than the Everclear I grew up on.